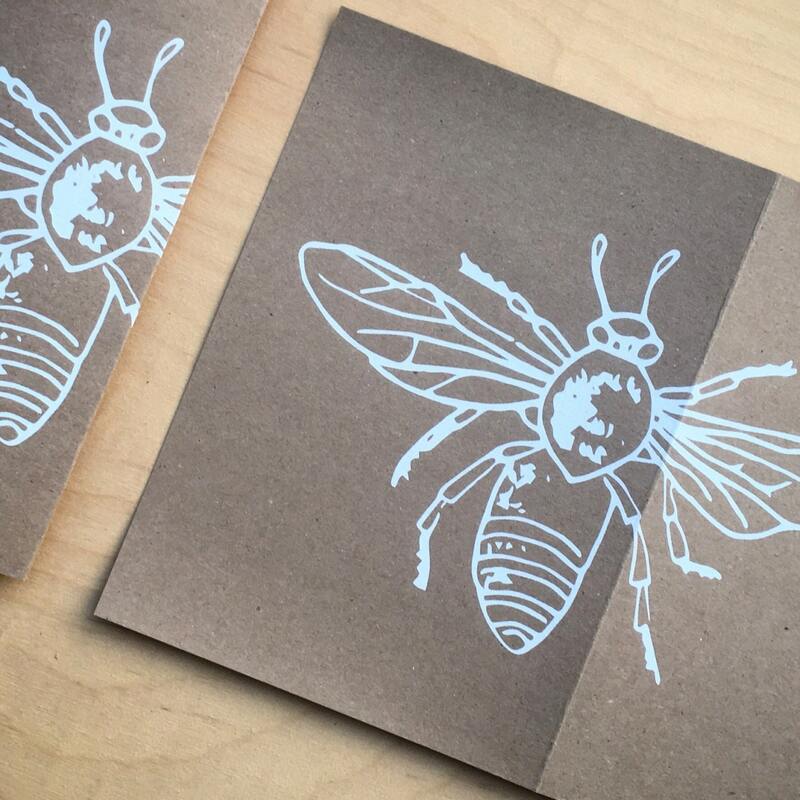 A lovely, hand illustrated honeybee in flight wraps around a craft notecard in this naturally sweet, entirely original design. 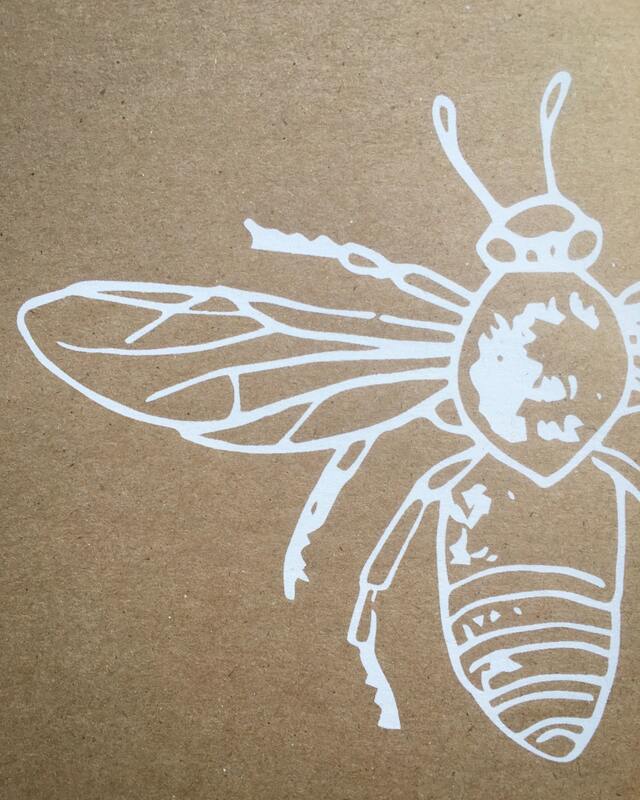 Inspired by vintage scientific illustrations of our honey making friends, our hand printed honey bee honors the bees that buzz in our backyard pepper tree and our deep love for the wild and wonderful world of nature here in Southern California. 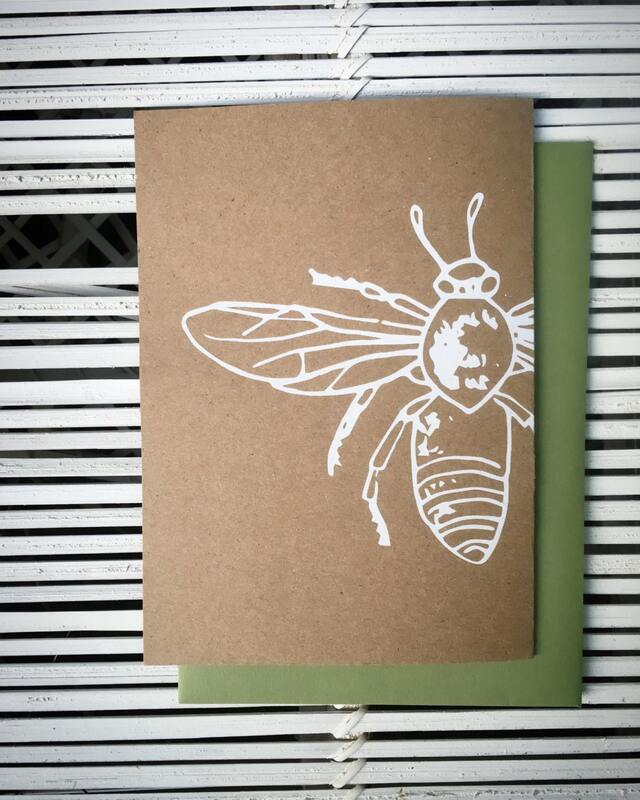 This listing is for one very special, hand printed, craft notecard, blank inside, and grass green envelope to match.